Chihuahuas are overpopulating Phoenix shelters and several other southwestern cities -- and the numbers are getting worse, rather than better. In fact, the tiny breed has now taken the first place lead at the Arizona Humane Society, typically held by the number of abandoned pit bulls. In the first three months of this year, they've already had 821 Chihuahuas and 537 pit bulls surrendered or brought in as strays or for other reasons. Both the Arizona Humane Society and the Maricopa County Animal Care & Control (Phoenix's two largest shelters) most recent available statistics show that in 2013 combined, they received 10,535 Chihuahuas and euthanized 2,100. 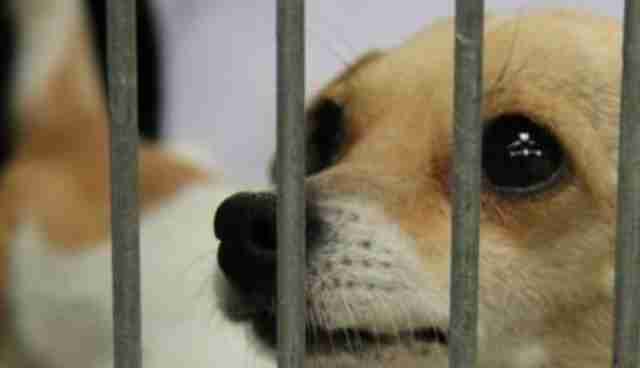 Currently, at the Maricopa County Animal Care & Control in Phoenix there are 120 Chihuahuas and 140 pit bulls awaiting their fate in rows of cages. The controversial, longtime misunderstanding of pit bulls is well known. But what's the problem behind the abandoned numbers of Chihuahuas? While some will too readily point to movies featuring Chihuahuas, they are hard pressed to say films are still the biggest reason for too many Chihuahua pets. One of the better known major Chihuahua-themed movies, "Beverly Hills Chihuahua," came out in 2008 (and in 2012 the sequel went directly to DVD). 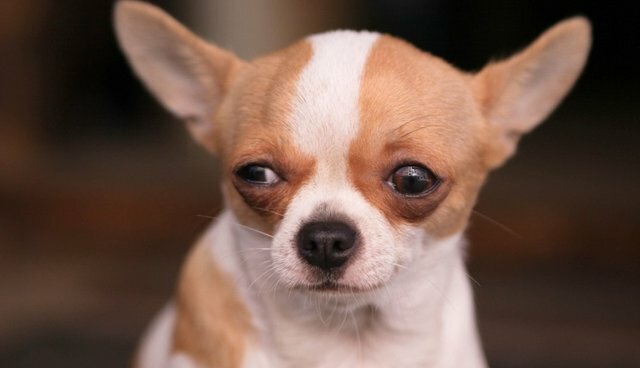 Others blame the "Paris Hilton" effect, which make Chihuahuas appear as toys -- and then impulse buyers later realize the responsibility. Many animal experts explain that there's overbreeding in many cities in the Southwest, linked to the failure of owners to spay and neuter. "It's geographical," says Bretta Nelson of the Arizona Humane Society. 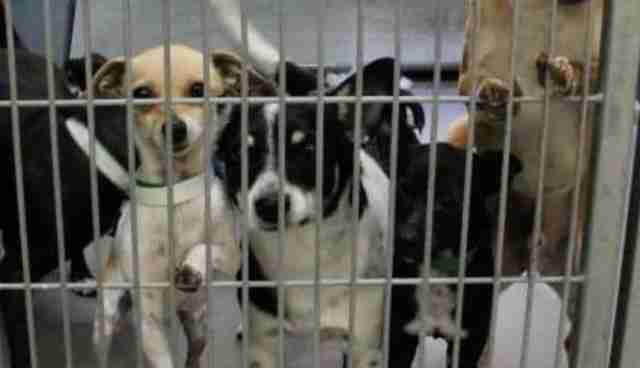 "It certainly seems as if Arizona as a state has the most of those breeds (chihuahuas and pit-bulls) in its shelters." Several organizations are now focusing on educational initiatives and public education about low cost sterilization options. Recently, this sad reality stirred the Arizona Chihuahua Rescue (AZCR) to take action and team up with Paws to Heart Rescue in Pennsylvania for a grassroots, cross-country alliance to save as many dogs as possible. The dogs pictured below in their cages at the County shelter were among the lucky ones. These Chihuahua mixes above were among the 25 at-risk Chihuahuas to take the 2400 mile trip from the Maricopa County shelter in Phoenix to Pennsylvania. Some rescue groups in Pennsylvania say they receive frequent requests to adopt Chihuahuas, but don't often have them available. 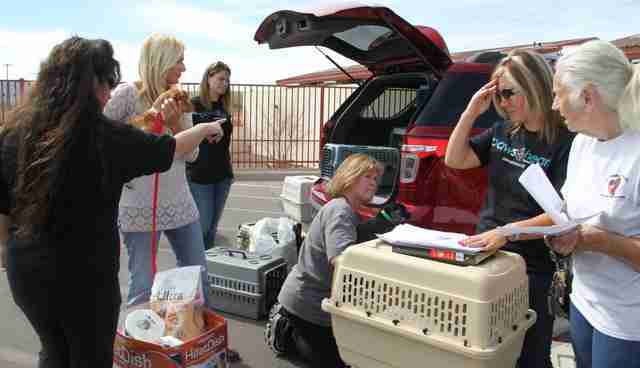 Pictured below volunteers worked feverishly to fit the dogs and supplies into the SUV. 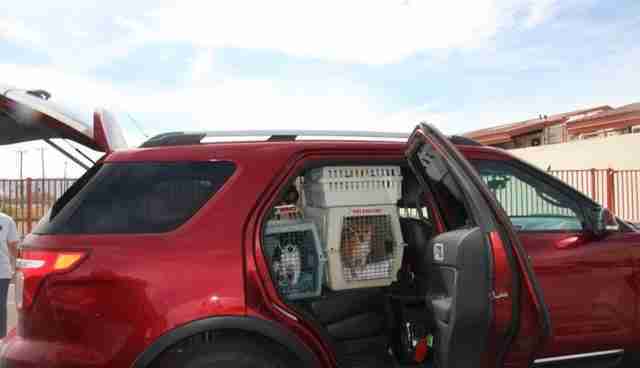 By raising the first $3,000 needed, (in $10 to $50 increments), AZCR was able to fly the Paws to Heart Rescue's Kristen Sarmiento and Shana Stephens from Pennsylvania to Phoenix, and rent a small SUV for their trek back. Prior to the trip, Paws to Heart Rescue had enlisted the help of one of its small neighboring rescue groups, Lentz Pet Therapy in Delaware. Together they steadfastly pre-arranged for all the fosters. 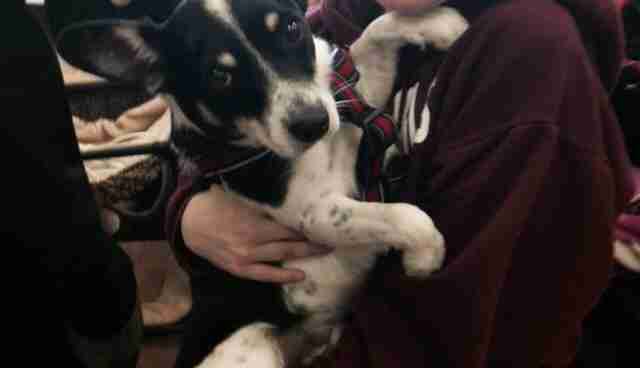 The 25 Phoenix dogs, which quickly became 26 on the morning of the unorthodox mission, were taken on the three day road trip to PA and met by the pre-arranged foster families with open arms. One of the criteria for all the dogs chosen for this dream mission was that were already spay and neutered. In addition, Maricopa County Animal Care & Control covered the cost of all the dogs' shots. "It's so great that we can give these dogs which were at risk of euthanasia a new life," says Sarmiento, the founder of Paws to Heart. 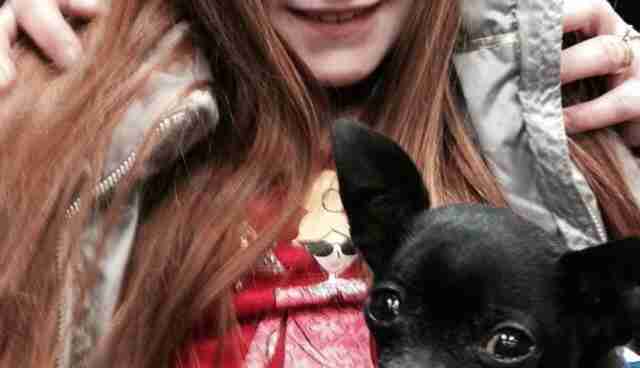 "When I first heard about the problem in Arizona, I thought, how can we get them to PA where our rescue gets frequent requests for the chihuahuas and mixed tinier breeds." That's when she contacted Barb Rabe, founder of AZCR. "When Kristen first called me out of the blue," says Barb, "I thought she was crazy, but I said, "Let's TRY." "Try" is an understatement for Barb Rabe and Kristen Sarmiento and the loyal volunteers in Arizona, Pennsylvania and Delaware. Pictured above is one of the adopted AZ dogs in PA with his new sister. Within three weeks half the dogs had forever homes -- and within less than two months, all but one of the 26 Arizona dogs have been adopted!